I have lived in Leeds for 3 years now and it really is a home away from home. I love this city. From its endless amount of great restaurants, to spotting the new architecture mixed in with old, it has everything you need and really is up and coming. Plus, when you’re tired from all that, there’s no shortage of ‘watering holes’. So If you are visiting Leeds any time soon, just moved here or just wanting to try out a few different places then here are my top 5 bars so far in Leeds. What can I say about Headrow House, apart from being slightly obsessed with it! The main reason for my love of Headrow House is the rooftop bar. Granted it is a little bit chilly now that we are in November, however in the summer that’s where you’ll find me. It is literally a sun trap, it also has a cocktail bar upstairs as well as a floor where they have gigs on. The ground floor is super quirky and it feels like you’re in a fairytale at night with all the candles lit. They also do food, however I haven’t tried much of it, so I will report back on that one. East 59 opened this year in the spectacular Victoria Gate building which was voted “Best shopping centre” in the world this year. Just look out for the magical staircase and take the lift to the top floor where you are greeted by super friendly staff. As I love a rooftop terrace, I was surprised to find one here. They even have blankets to keep you warm. The cocktails and nachos are a must! 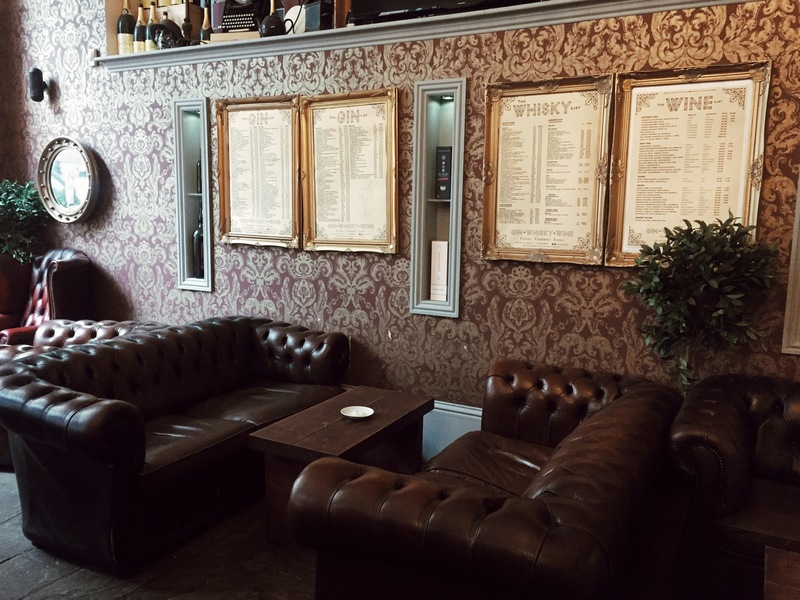 I have just discovered Lazy Lounge and they have an insane whisky and gin list among others (you need to check it out for yourself, the menu is huge). It has such a good atmosphere and they also do food. Situated just off Wellington Street it’s a perfect city centre location. There’s no rooftop, however they have a lovely seating area outside and is always packed on an evening. I am a sucker for a bar with a view and Waterlane Boathouse delivers just that. It has a great outside section right next to the canal. The pizzas are great as well as the gins. Located in a great area just near to the train station, opposite the Double Tree hotel. Make sure you check it out. After visiting The Good Luck Club for a lunch meeting, I knew this place needed to go on my list. Great drinks, delicious food and fab customer service. It’s a great place to visit. I love the interior design and the welcoming feel to this place. You need to visit the Good Luck Club. P.S. Feel free to let me know of any bars that would make your top 5. I will definitely be trying out some of these “watering holes” soon .